Peter Himmelman is a Grammy and Emmy nominated songwriter, author, visual artist, and graduate of The Kellogg School of Business’s Advanced Management Program. His singular knack for rapidly eliciting creativity and trusting teamwork is being leveraged by Fortune 500 corporations and leading business schools to increase innovative thinking. Along with the people mentioned below, Big Muse partners with professors and academics from The Kellogg School of Management, The Wharton School, and The University of Pennsylvania. Futurist and creativity expert, Michael Perman helps teams crack the innovation paradox to generate actionable ideas, breakthrough products, and revolutionary customer experiences. The founder of C’EST WHAT?, a firm dedicated to cultivating “mindful innovation,” Perman has a proven track record of leading senior executives and inspiring thousands of employees to capitalize on their collective creativity. He’s also a sought-after conference speaker and producer of the podcast series “CRAVING THE FUTURE”. Jim is a trusted, accomplished innovation leader, design-thinker and business advisor. 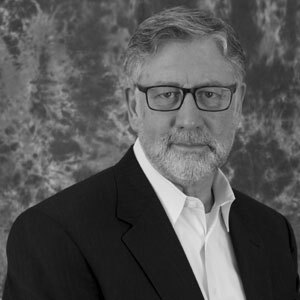 For over 35 years he’s worked with organizations like Starbucks, Sodexo, Eli Lilly, Redbox to create bold strategies and concepts, generate the courage and sustain their commitment to new experiences, products, services and environments. Jim is a master at focusing and inspiring leaders and organizations to define and be accountable for being authentic and truly differentiating. He’s a frequent guest lecturer, instructor and mentor at the Kellogg School of Management, the Segal Design Institute, the University of Chicago, the Haas School of Business, other business and civic groups. Clinical Professor of Leadership at the Kellogg School of Management at Northwestern University. For over twenty-five years, Michelle has loved her work, with students and with organizations, using innovative methods to inspire and enable leaders to maximize their performance and to unleash the potential of others. Michelle previously served as Kellogg’s first Director of Leadership Initiatives, and she received teaching awards from Washington University and McGill University. She earned a PhD in social psychology from Princeton University. Over a thirty-year career Matt has enabled organizations to embrace change and experience rapid and sustained growth. As an executive at Cisco Systems and World Surf League he has built and led Best in Class operations that span the globe. Matt’s expertise lies in channeling inspiration to ensure actionable, sustained growth. Kent has made a career of helping people understand why they work; how they can contribute towards something bigger than themselves; how to develop & share their unique skills, knowledge, and other talents in ways that bring them a lasting sense of fulfillment; and how to help others through their labors of love. 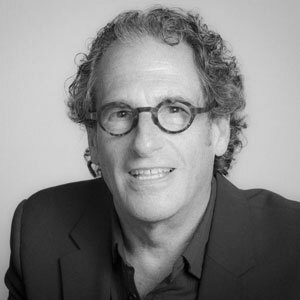 Kent is a founding board member of Conscious Capitalism Los Angeles, and has held a variety of executive roles in leadership and development. Scott's helped corporates, startups and individuals use technology to improve and connect for 25 years. His product experience ranges from helping Deloitte connect their people with the right work, and the right knowledge at the right time, to helping start ups solve problems that jump start growth, to helping 4th graders get excited about practicing math. Scott is founder ResultMaps - a software platform that helps people design, create, and drive sustained change. He gives workshops on vision, teamwork and performance at places like UC Berkeley, SMU, UT Dallas, and startup accelerators. US Foodervice in Baltimore and VP Sales for Reinhart Foodservice in Eastern PA, As an executive coach and business consultant he has played an important role in the success of public and privately owned firms. Marty hosts the Business Builders Show on C-Suite Radio and C-Suite TV. Arthur is a nationally recognized consultant who assists individuals, organizations, and communities in the design, implementation, and evaluation of collaborative partnerships. He also served as a Senior Fellow at the Hubert H. Humphrey School of Public Affairs, a Senior Program Officer at The McKnight Foundation and at The Saint Paul Foundation, and a Senior Associate at the Center for Health Leadership and Practice, a program of the Public Health Institute in Oakland, California. Jeff is an accomplished musician and composer, recording and touring internationally with such diverse artists as Andrew WK, Peter Himmelman, Soul Asylum, and Nick Jonas. Jeff’s performance skills have been showcased nationally on TV shows such as Saturday Night Live, The Tonight Show, The Late Show with David Letterman and Late Night with Conan O’Brien. 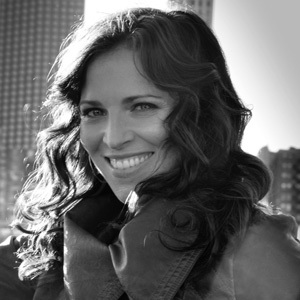 Ms. Mooney has worked with Keith Richards, Norah Jones, Iron and Wine and Lucinda Williams. Matt Thompson has been an active part of Chicago’s professional music community since 1989. His performance experience spans from violin and contrabass in professional classical ensembles to rock, but has largely focused as a jazz bassist. He received a Bachelor Of Arts in 1998 from DePaul University. As a session bassist Matt has appeared on 30 + albums and on major motion picture soundtracks. Originally from San Francisco, master musician, David Morgan grew up listening to everything from the Beatles to John Coltrane to Chopin. In 1987, when still in high school, he fell in love with jazz. Two years later he moved to the University of New Orleans to pursue his love of jazz where jazz was born. At UNO, he studied piano and composition with legends Ellis Marsalis and Harold Battiste. From there he went on to become one of the most in demand session players and producers on the East Coast..
Chuck was born in Chicago, IL and encouraged to go into music by his talented family. He started playing drums at age 12 for his church and soon began working for various churches and community choirs. He has worked with such luminaries as Buddy Guy, Keb Mo and Larry Carlton among others. Whether bearing her heart and soul with her singer/songwriter band Brite Lite, bathed in the red lights in the corner of a bar with her girl trio, The Oh Yeahs, rocking out with the indie-rock-grunge group Miss Remember, or adorning a full length gown serenading the newlyweds and their friends in one of the historic ballrooms of Chicago, Leslie Beukelman loves what she does and it shows. Scott has been involved with the Chicago music scene for over 20 years. He has shared bills and stages with such luminaries as Los Lobos, Ben Harper, Buddy Guy, ZZ Top, Gov’t Mule and countless others. Scott is currently wrapping up production on a double album, a compilation paying tribute to the classic blues recordings fromRCA/Bluebird label in the 1930s. Jimi Englund has had a long and diverse career in the music industry. His drumming experiences include working with the hit off-Broadway show STOMP, Robbie Robertson, Nick Lachey, Barry Manilow, Clay Aiken, and many others. As a composer Jimi has co- scored two indie films, ‘Detective Fiction’ and ‘Fish in a Barrel’, and the Comedy Central show ‘The Sweet Spot’, starring Bill Murray. Bob Hillman’s experience bridges the analytical and the creative: he’s a musician who has released five albums and toured extensively in the U.S. and Europe – including opening for Suzanne Vega for a year and playing the Newport Folk Festival – but also a classically-trained marketer with an MBA and 10+ years of experience in brand management for Clorox, Intuit, and others. In addition to writing songs and building spreadsheets, he enjoys encouraging creativity in people who don’t think they’re “creative types,” under the assumption that they’re wrong.